Please can you white list this site as our customers are having issues downloading the product they asked for. I'm receiving the above when trying to check it? Actually the site owner doesn’t need to do anything you need to update your anti-virus to stop incorrectly detecting the site. Non of the files on our server contain any malware or trojans what so ever our service has been running for years and not once had a user ever had malware installed on there pc by us. We already spoke to Eset and had them remove the false positive. 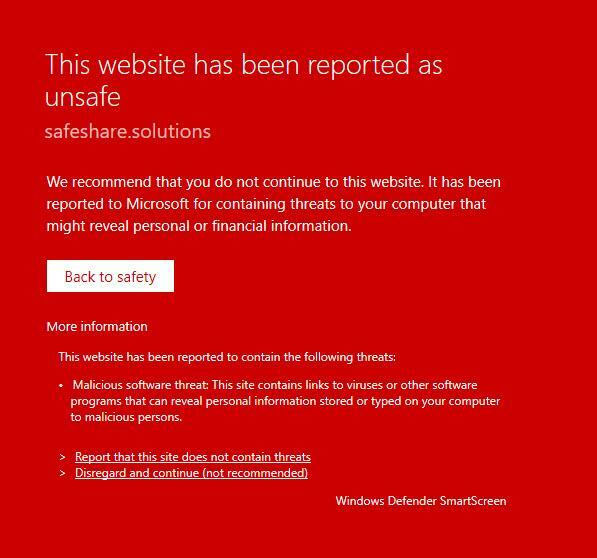 We will review again tonight, but even Microsoft SmartScreen did not like one of your pages. If you have not already, you may wish to put the folks at McAfee's URL blacklisting on your list of those you believe should re-evaluate. I will contact them immediately Microsoft whitelist’s all of our software on there anti-virus as we connect them every time we compile. I have countless clean submissions from Microsoft they have never once refused to whitelist our software. Could you please provide me with the page which windows smart screen does not like? I will need a specific URL. Thank you for your help I have contacted them now as I was un aware this was the case. 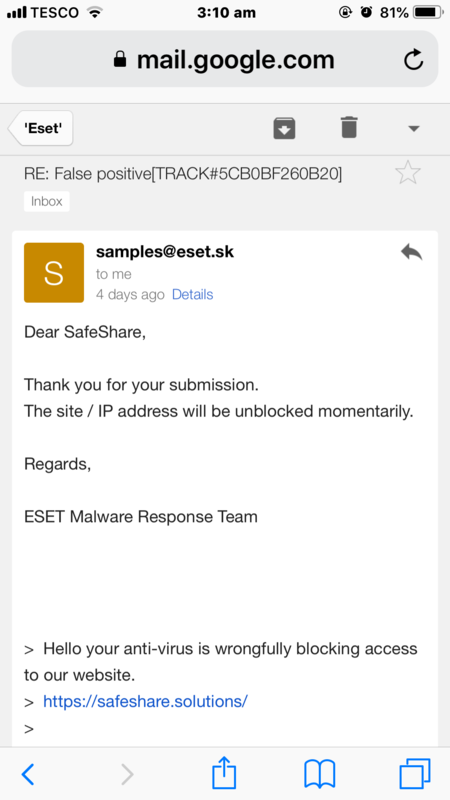 That file was removed a while ago and does not contain a virus it is due to the obfuscator wr used to use. The executable was packed with confuserX however have changed the protection we use. If I’m honest I don’t like the way anti-viruses call programs a virus that are simply protected with an obfuscator i feel as if this is some what of a scam to make the anti virus appear to detect loads of ‘viruses’ when it’s simpmy not the case as this is industry standard protection for applications. Actually, very few vendors call items detected a virus. Often, most are classified as Trojan, Malware, or possibly PUP. I'm not aware of any new actual viruses in many years now. Bad actors want to get paid and typically a virus doesn't do that for them. Taking control of your system or encrypting your data has become much more lucrative than unleashing a virus to damage your data for no profit. I've asked the team to review your site again. Hopefully, that should get done sometime tonight. Can you provide me with an update once the review is complete?